“Hot tubs” are made of wood, sometimes with a liner set inside. 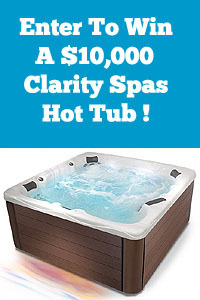 They can provide you with that “jet action”, but without the contoured seating acrylic spas offer. “Jetted Bathtubs” are usually made of fiberglass or acrylic and can be used in either new construction, or to replace existing bathtubs. They normally get installed in the bathroom and have a jet pump attached to them. You fill a Jetted Tub each time you want to use it, then turn on the jet pump to get that therapeutic effect. 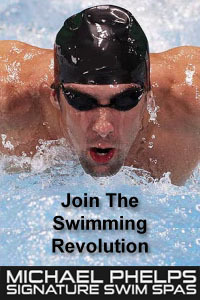 They do not require the addition of chemicals because you drain the water out after each use. Q. Should I get a portable, self-contained spa or an inground spa system? What’s the difference? 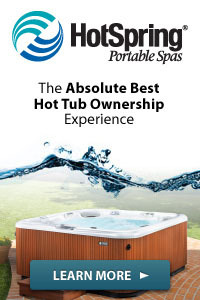 Inground spas can be set in an outside deck, sunk into a cement floor or can be installed semi-inground with a wood or tile deck built around it. Inground spas do require some plumbing, electrical and sometimes gas work before you have the finished product. However, your dealer can arrange all these services for you as well as work with your own private contractors in the event you are also having a room built to enclose your spa. Frankly, an inground spa is initially more costly than the same model in a portable unit, but it will substantially add to the value of your home, while providing you with quite a unique and relaxing luxury. A. Most people think of spas the way they do waterbeds – that the water is so heavy that the unit will literally fall through the floor. This notion is far from the truth. Unless you decide to purchase a large spa, most units on the market will not cause your floor to fall in. The fact is, a spa or a waterbed actually exerts less stress per square foot on a floor than your refrigerator or even a 55 gallon fish tank! Because the weight is spread out over a large surface area, most modern construction will support the average spa with no trouble. If you are in doubt, it is best to consult with a structural engineer before installing your spa. 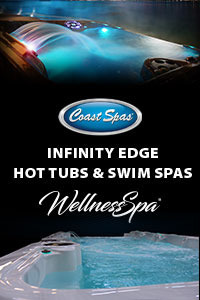 With inground spas, you have more of a choice of heaters. When purchasing an inground unit, your heater is a separate consideration. An inground spa package must be thought of as a custom design, each piece of equipment being sized individually depending on the size of the spa shell. You can use either an electric or gas heater with an inground spa. Gas heaters will initially be more expensive than electric heaters, but in the long run they will be less costly to run on a monthly basis. A. Spas, both inground and portable, come in a variety of shapes and sizes. Many units have contoured seating and some feature lounger sections that let you fully recline in the spa. We urge you to look at a number of different models before you decide which interior configuration you would enjoy most. You should even get inside one without water in it to see which tub feels best to you. On inground spas (and on certain portables), you have your choice of exactly where the jets are located in the spa. You can not only choose the number of jets, but their color as well. You can also choose between fully adjustable and non-adjustable jets which will affect the direction of the water flow through them. A. Buying a spa is a decision you shouldn’t feel rushed or pressured into, so be sure to ask the dealer a lot of questions. Like shopping for anything else, knowledge is everything. Before you take the plunge into buying a spa, ask for a private “test soak” so you can feel the jets and the overall comfort of the spa. You’ll find the newspapers full of “dirt cheap spa bargains”, but you must be very wary of such seemingly “good deals”. When purchasing a product such as this, you definitely “get what you pay for”. Watch out for companies that offer you incredible prices and deals and then forget you ever existed once you have made your purchase! Check references, company awards, trade affiliations and try to get recommendations from some friends who have spas and are happy with the company they chose. 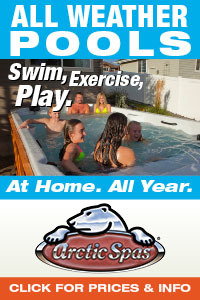 Remember, Poolandspa.com does not sell spas over the Internet (only the parts & supplies for the tubs).